1987 My work first appeared in local newspapers and magazines. Then a personal series in the West Sussex Gazette, featuring my photographs soon followed. Many pictures have since appeared in the same newspaper. Local and national magazines have published my work:- Sussex Life, Heritage, Evergreen, T.V. Review, Downs Country. Also:- Jarrold Country Scenes Calendar – front cover and interior pictures. 1991 – Photographs used exclusively in a long running series called ‘Shades of Sussex’ in the :- West Sussex Gazette. 1996 Petworth historical Society. Slide presentation – entitled ‘Sussex in Colour’. 2000 – Millennium 2000 village photographs – a series depicting groups of local people in their villages, all images subsequently published in the West Sussex Gazette. 2002 – Invitation by – Faculty of Arts, University of Southampton – Winchester School of Art South East Arts touring exhibition. Invited to contribute to ‘Forest’ exhibition. That ran for 2 years. 2009 – BBC South Today ‘Finn’s Country’ programme – a short, evocative film in which I appear with broadcaster Roger Finn. We wander around an old ‘unconverted’ Surrey farm, while, at the same time, chatting about the amount of barns and farm buildings that are being lost to conversion. 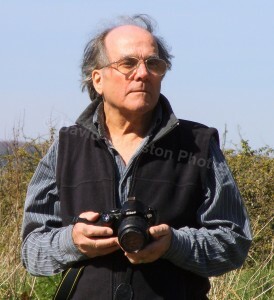 Roger Finn, also talks about my childhood growing up in the Sussex countryside, and how those early years inspired a passion in later life for the recording on film of over 3,000 colour photographs of Sussex barns and farm buildings. 2009 – Invitation by Robin Stummer, editor of the ‘Cornerstone magazine’ (S.P.A.B.) to write an article about my reason for making a photographic document of the old farm buildings of West Sussex. This work resulted in a full, three page spread, with colour illustrations being published in Volume 30 number 3 of the 2009 ‘Cornerstone Magazine’. 2010 – Exhibition of photographs in the – ‘Nigel at 70 Exhibition’ – held at – The Assembly Rooms, North Street, Chichester, by the kind invitation of (my late cousin) the renowned Chichester artist – Nigel Purchase. 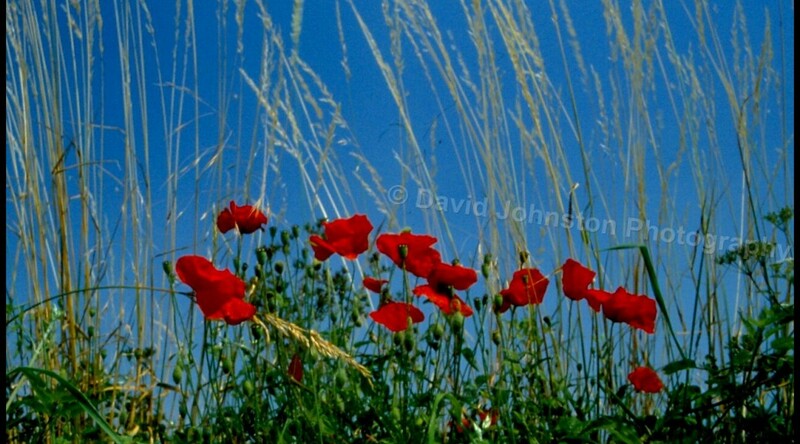 2014 – The Weald & Downland – ‘The David R. G. Johnston Collection’ – Photographic Exhibition:- from Monday – 14th to Monday – 28th July.